Born in Chittoor, Andhra Pradesh, Krishna Reddy studied art at Santiniketan from 1942-47, and headed the art section at Kalakshetra, Madras, from 1947-48. 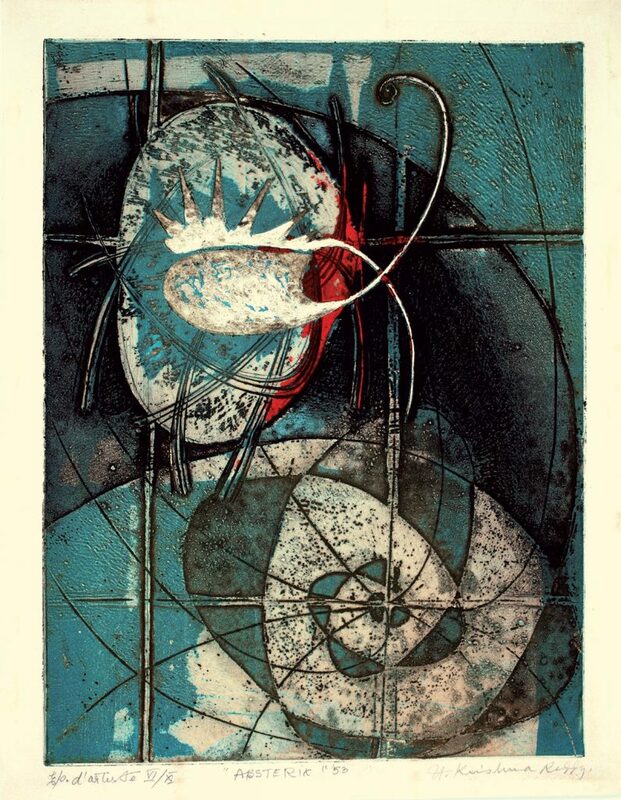 From 1949-57, he studied art in Europe, training in sculpture with Henry Moore, Ossip Zadkine and Mario Marini. 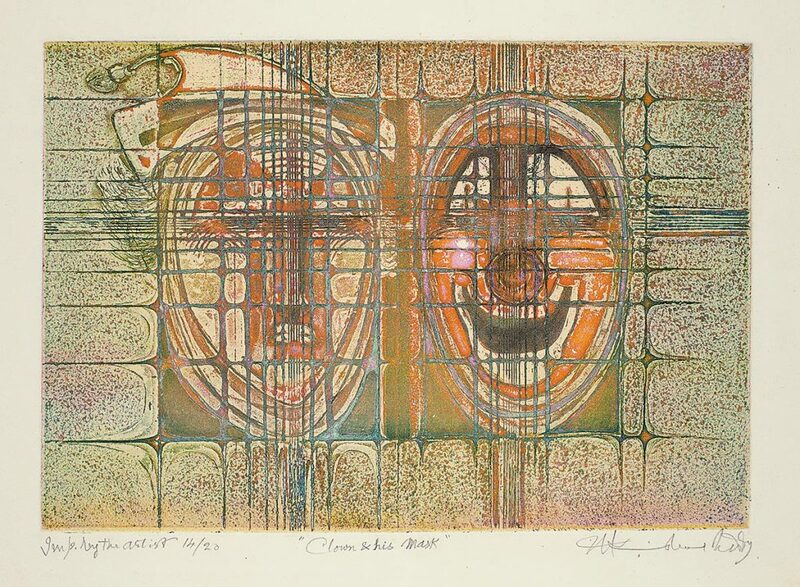 He also had substantial and fruitful interactions with artists such as Constantin Brancusi and Alberto Giacometti, all of which profoundly influenced his work. Ossip Zadkine introduced Reddy to S. W. Hayter, a formidable printmaker and founder of the influential print studio, Atelier-17, in Paris. 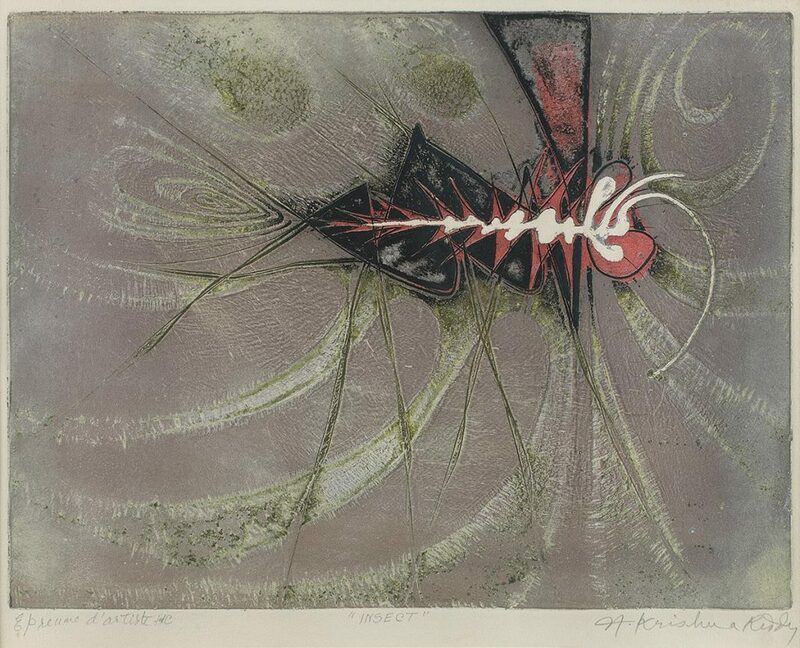 It is here in the early Fifties where the most important developments in Reddy’s life as printmaker took place. 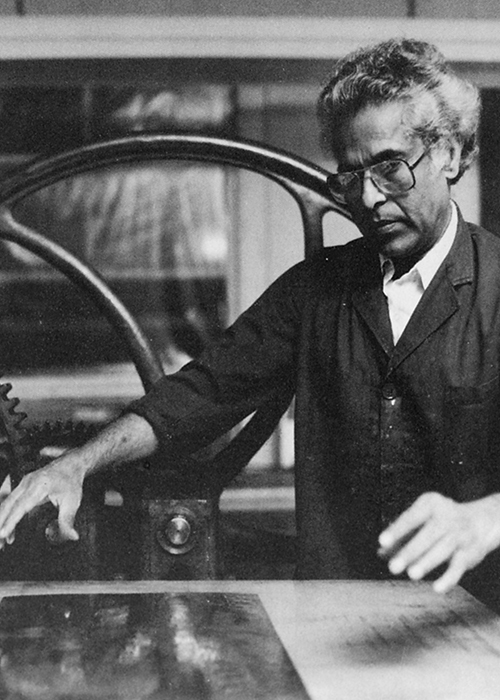 Reddy pioneered the ‘colour viscosity process’ in which he etched a plate in acid or prepared with tools to form several layers. 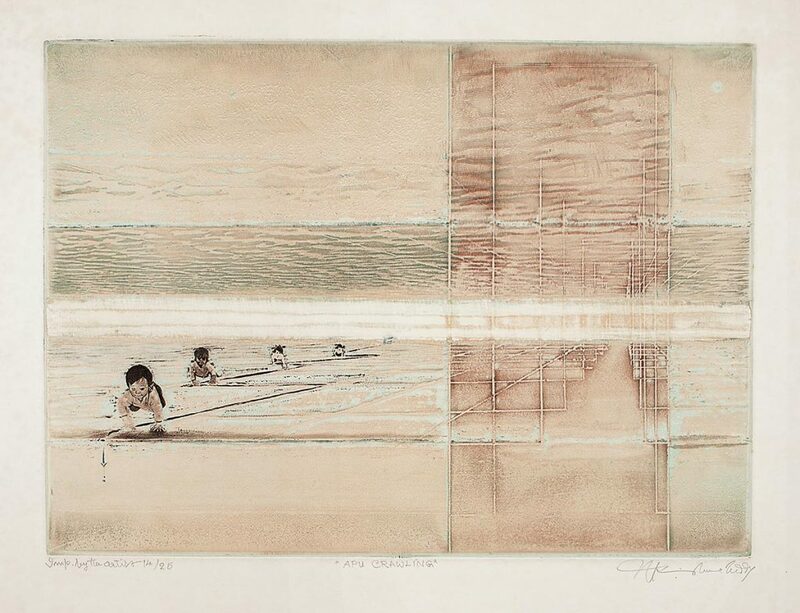 Intaglio ink is applied by hand, and the remaining colours (each with different viscosity levels) are prepared with oil, which are then rolled on the plate. Through his method, Reddy managed to attain a range of extraordinary colours on the plate, and each print an individual coloured image. Reddy evolved his starkly abstract geometricism at Kalakshetra, where he formulated the ‘principle of essentials’. Expanded and honed through experimentation in Western forms, it has come to be his signature style.